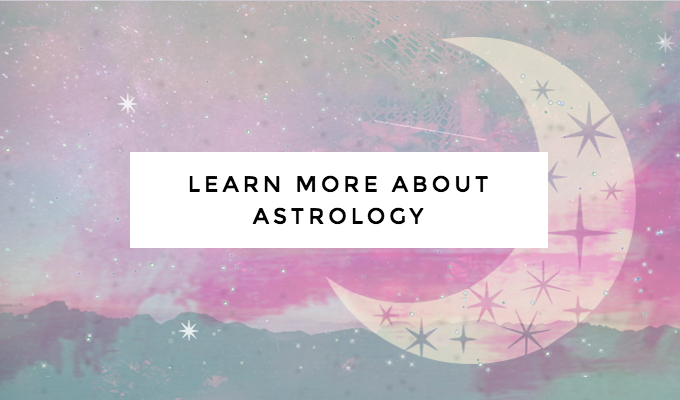 If you’re hoping to discover your calling and unlock your ideal life + career situation, there are many different points in your astrology chart that can be looked at to paint a complete picture of your inner nature. However, your Sun, Moon and Rising Sign are 3 of the biggest parts of your chart that can provide useful information about your underlying essence. Your Sun Sign is by far the most common astrological point that most people think of when they think about astrology. Almost everyone knows what their Sun Sign is, even if they don’t know what it really means. It describes your life’s expression, your attitude, your outer nature, and the way you way you move through life. When people tell you to ‘be yourself’ this is loosely what they mean. Why do I say “loosely”? Because your Sun is only ONE part of your complete chart, and that’s why the horoscopes you read online, in a newspaper or on an app aren’t always completely accurate for every single person. It isn’t possible to take into account the whole ‘you’ like a complete astrological analysis can. When it comes to your career, it’s best to choose a path that will allow you to ‘shine like the Sun’ by doing what you’re best at. When you can play to your natural talents, work feels more like fun! For example, as a Sun Sign, ♈ Aries tend to be very independent, high energy, and idea-driven people, which often makes them excellent at sales & marketing. They also enjoy jobs where they can get in a lot of physical exercise, like an athlete or personal trainer. It’s not true 100% of the time, but Aries often end up being self-employed, so they can be their own boss and follow their individual passions as much as possible. The house that your Sun Sign falls in can also tell you more about the area of life that you best express yourself through. This is what helps you get even more specific about where your talents lie. For instance, if your Sun falls in the 1st house, you would be skilled at putting yourself out there as a thought leader, celebrity, or personal brand since the 1st house rules your Self Identity & Persona. If your Sun falls in the 8th house, you would best express yourself through business & finance. If it was the 10th house, it would be through your career. In order to find out which house your Sun falls in, you’ll need to know the exact time of your birth so you can determine your Rising Sign (more on that below!). Your Moon Sign is just as important as your Sun sign, but unfortunately, it’s not as common for people to know what theirs is because it’s not as easy to look up. The moon moves very fast – zooming through one zodiac sign every 2.5 days – so you will need to know the exact timing of your birth to be completely sure of what your Moon Sign is. The Moon Sign is important because it signifies your inner emotional landscape and describes the conditions you need in order to feel comfortable & secure in life. By knowing your Moon Sign, you can choose jobs & relationships that will help support your inner happiness – which is all we’re really looking for, isn’t it? It also helps to find out your partner and/or your children’s Moon Signs so you can be aware of how they prefer to be nurtured, too. For example: If your moon is in ♈ Aries, the best thing you could do when you’re feeling down is to go outside and exercise in the sunshine to get rid of any negative energy. That’s great, but if your partner’s moon is in ♉ Taurus, they would just want to get cozy in front of the TV with some snacks and have some chill time in order to re-boot. As you can see, these two signs have very different definitions as to what helps make them feel better after a stressful day at work! That doesn’t mean these two should break up immediately if they’re in a relationship together, but they would need to respect each others’ different approach to their lifestyle in order to make their relationship work over the long run. On a career level, it is really good to step out of your comfort zone once in a while, but you wouldn’t want to work a job that completely goes against your emotional needs all the time. For instance, a ♋ Cancer Moon likes to have a secure and stable job they know they can depend on to carry them through to the foreseeable future, but a ♐ Sagittarius Moon would get very bored staying at the same job for too long because they crave freedom, variety & new experiences in life. If you want to get even more specific with this, similarly to the Sun Sign, it’s possible to look at which house your Moon is in, too. This will tell you more about the area of life where your emotional nature most strongly tends to comes through. However, I think my favorite trick for looking at your Moon Sign more in-depth is by looking at which Moon Phase you were born under! I’ve talked more about this in another post (Read: How to Work in Tune with the Moon), but I was born during a Dark Moon, which means I feel at my most creative when I’m in my own quiet, sacred space, free to dream and write and think about my ideas & memories. That’s probably why I really enjoy having a career that allows me to think about the deeper questions of the universe. 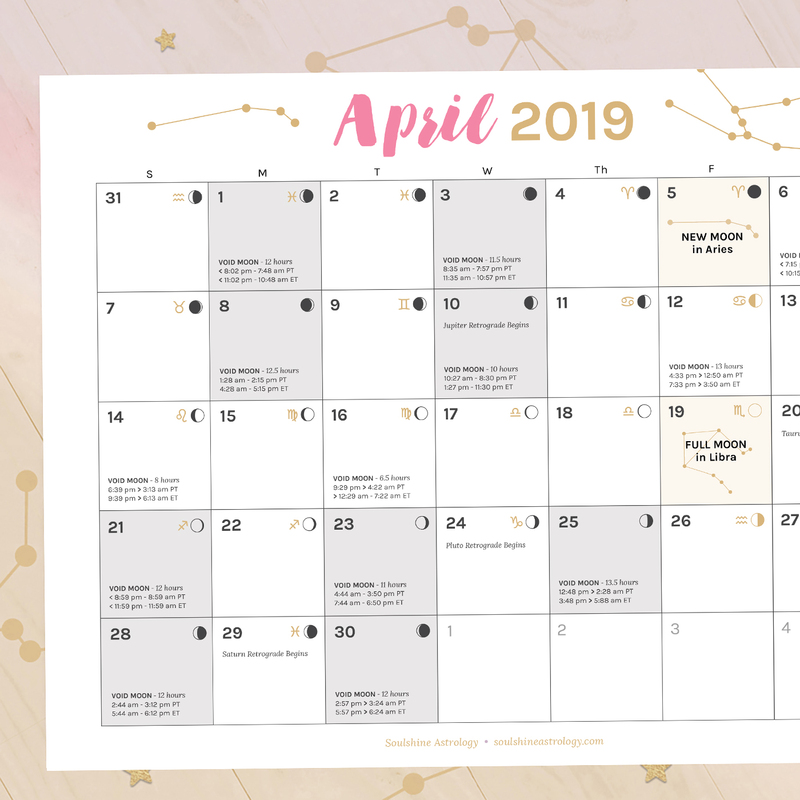 Someone who was born during a Waxing Crescent Moon, however, would be most creative at planning out how to do things, setting goals, and sharing ideas with others since these are the main activities that happen under this moon phase. As you can see, the Moon can really tell you a lot about the type of work you are most suited for naturally! Last but certainly not least, there’s your Rising Sign. It is also sometimes known as the Ascendant or listed on an astrology chart simply as ‘AS’ or ‘AC’. Knowing yours could be positively game-changing for your life + career! It signifies the self you show to the world, the eyes through which you see the world, who you seem to be on the outside, and how you like to be seen. When it comes to your calling, the Rising Sign is what you actually DO to fulfill your soul purpose. By knowing your Rising Sign, you can get super specific about what you actually need to do or be to pursue your calling. For example, I may have my Sun & Moon in ♓ Pisces, but my Rising Sign is in ♐ Sagittarius – the sign that is also known as the ‘sage’. Pisces’ tend to be imaginative, sensitive, and deep, yes. However, in my career, I am actually known mostly as someone who provides advice to others. I also didn’t discover my calling until I did something very Sagittarian – sold everything I owned & moved to a rural city on an island I had never even been to! It’s also VERY good luck to dress and even brand yourself like your Rising Sign, even if you can’t quite DO what your Rising Sign asks of you for a living yet. People tend to think you dress like your Sun Sign, but in fact, this is not often the case (although, yes, it can be). We actually tend to hide behind masks to make ourselves feel more comfortable with expressing ourselves. Your Rising Sign is like that mask, except in this case it’s more like the lucky uniform you wear to do your job in the world! Want to find your Sun, Moon & Rising Sign? So, now I’ve told you all about 3 main astrological points that can help you point you in the direction of your ideal career situation. But how can you find out what yours are? 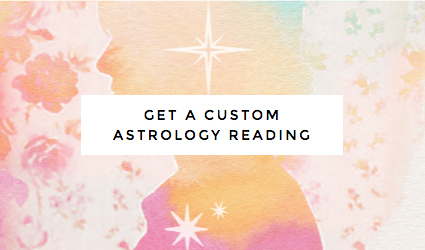 Get your own custom astrological report to find out more about your Sun, Moon, & Rising Sign, as well as discover your Career Zone and everything else you could ever wish to know about how to find your perfect career by ordering a Cosmic Career Blueprint. P.S. One last little trick for you before I go… whenever you read your horoscope anywhere, including the latest Monthly Career Scopes on this site, you can read the horoscope for your Rising Sign in addition to your Sun & Moon Signs to get even more specific details on what is coming up for you personally. Once you know yours, be sure to go try it out! Natalie, I feel elated that I found your site…your knowledge. I am awake here at witching hour yet again (every night 3-5 ugh) and well I just can’t tell you how beautiful your site is and how excited I am to follow you. I do however was wondering where you learned about astrology. I am very interested in exploring it deeper. Do you offer an online course or could you recommend one? Thanks doll. Man I am so jealous you are in Hawaii, there’s 3 feet of snow here and 6 more days of it in the forecast. Sad face. Also -29 Celsius.